In a move that has many heads spinning, a federal district court judge in Texas granted a last-minute temporary injunction against the US Department of Labor’s (DOL) new overtime exemption rule that was supposed to become effective on December 1st. The court order blocks the rule from taking affect; however, that’s definitely not the end of the story. The rule can be reversed or not and businesses aren’t really sure what to do now. As suggested in “Overtime Rules in Limbo: What Businesses Should Do Now,” posted by Jeremy Quittner on Fortune.com, many business owners and employees are frustrated by the abrupt shut down of the new overtime rules that were supposed to go into effect just a few weeks ago. Michael Brey, owner of Hobby Works, a small business in Laurel Maryland had to change seven employees from salaried to hourly positions. The change, Brey estimated, would save him nearly $35,000 or about the equivalent of adding another employee should the overtime rules become law. The employees were upset with the change and felt like they were being demoted. Now, this uncomfortable move is all for naught since the overtime rules have been put on hold, leaving both Brey and his employees upset. The legal limbo process could take months and, in the meantime, businesses are stuck firmly between a rock and a hard place. For businesses like Brey’s, who have already made necessary changes, they need to determine whether to keep them or revert back. For businesses just catching up, they have a little more time to plan, but planning for a law that may or may not take effect is a distraction from core business. Regardless of whether or not the overtime rules ever becomes law, businesses have had to take a good hard look at how they manage overtime. While overtime may be necessary in certain situations, unchecked overtime can become a burden on the bottom line. Managing overtime isn’t difficult when you have the right technology in place. 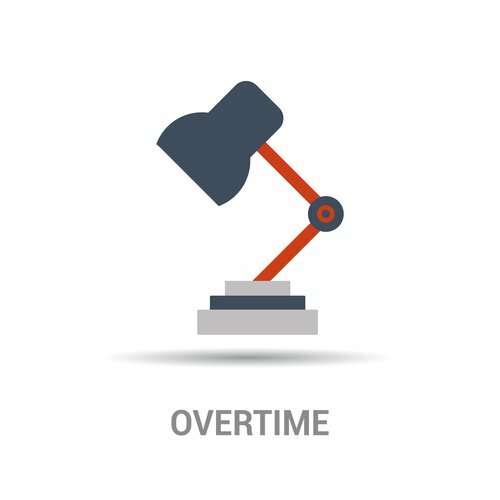 Overtime Hours Rules is an add-on solution for Dynamics GP Payroll that streamlines overtime management. You set the rules and limits that permit the use of overtime and the solution automatically calculates overtime during the payroll process. With or without the pending overtime rules legislation, businesses can control the use of overtime and protect profitability with Overtime Hours Rules. Contact Integrity Data for more information about this and other powerful payroll solutions.